The Technology Geek is always changing and evolving to bring you the best content we can. Now we are bring you a podcast network. We are excepting podcasts to add to our podcast network. If you have a podcast and would like it to appear on our site please submit it via e-mail and we will add your show to our list. We will also add your show to our stream and schedule your shows air time accordingly. We are very excited to be adding a podcast network and we look forward to everyone’s great content and shows. 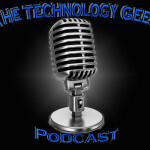 At The Technology Geek, we welcome guest authors and bloggers to submit their best articles for inclusion on our site. Guest posting is the perfect way to build an audience and earn valuable links back to your site. It also builds your credibility as a writer and allows you to be viewed as an authority in your niche. We are looking for original and well-written articles on topics related to technology. You can contribute reviews, How-To-Guides and well written articles. Reviews must be of items we have not reviewed and posted already. You can send us your articles via email. All contributions will be reviewed and content that matches (or exceeds) the site’s existing standards will be posted. As a guest writer, you won’t be paid for your contributions but this opportunity can help get more exposure for your blog or your brand on the Internet. All guest articles will include a brief bio of the author and a link to his or her website for some extra publicity. This is by no means an exhaustive list on the topics we are interested in. If you have something else in mind that you feel would fit within the content we have on the site, get in touch with us and we’ll take a look. Our audience wants information they can put to use. A concise, well-written post is what it takes to get our attention. If your article doesn’t quite fit into the categories above (but you think our readers would like it) – give it a shot and get in touch. We’re open to suggestions.